Well for the first time in some time the Evergreen, CO real estate news is looking good. After month after month of the same old numbers, low inventory and a seller’s market, Evergreen is starting to see some light at the end of the tunnel for buyers. It is still kind of early in the season to see the full amount of listings since school is not over and people are focusing on finishing that up before they list or buy a new home so it is exciting to see more homes on the market. What do the Evergreen and Denver Foothills numbers look like? This is a snapshot that pops up on the back end of the MLS when logged in on the dashboard. The settings are for all price points in Evergreen, Conifer, Bailey and Morrison. It includes land, attached and detached single family homes. It is a trailing 7 days of the real estate sales, new listings, back on the market, price increase and decreases, under contract, withdrawn, sold and expired listings. 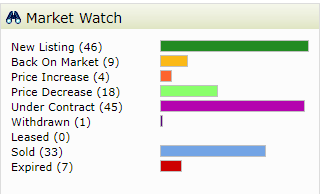 So it is basically the real estate market happenings for the last week in a nice colorful and easy to read chart. Although a couple of days ago this chart was much more appealing to buyers there have been a few that have gone under contract yesterday and today. There are a few indicators on here that are good from a real estate perspective. The numbers that go together to give an indication of the possible market direction because they are sort of connected are new listings, back on the market and price decrease. All these are in the favor of making it more of a buyer’s market. The numbers that are connected in more of a seller’s market are under contract, price increase (this one was always puzzling for me..what broker says “your house isn’t selling? Hell let’s raise the price and see if that helps”) and sold listings. If you add the lines that correlate to the buyer’s market the number is 73. The ones that point to a seller’s market are 82. Now of course this still shows a bit of a seller’s market, it is no where near as bad as it has been. Also as mentioned before a couple days ago the numbers were much closer. As kids finish school and the weather gets nicer to move and look at homes, it seems like we will be adding more to the market than we sell. This combined with the time length people have been in their homes combined with perhaps some buyers remorse from people setting for homes they didn’t want or couldn’t afford might add to the listings we see this spring. 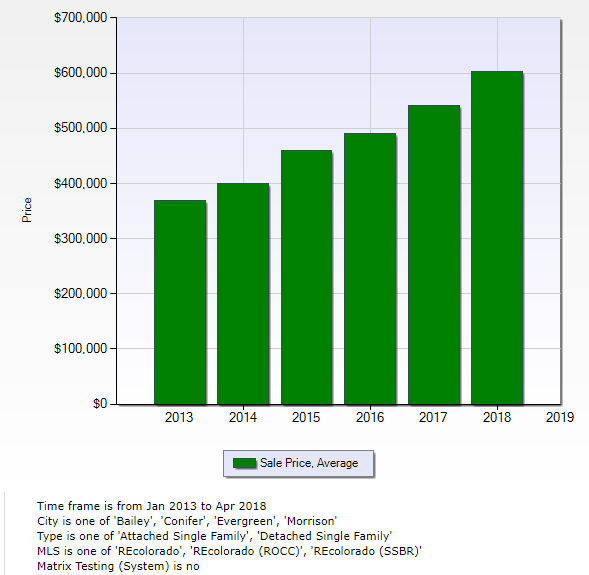 The average sales price in the Denver Foothills and Evergreen has increased over the last few years. 5 years ago it was under $400K and now it is just above $600K. With that being said you can still find some very nice homes in the area for under $500,000. They tend not to stay on the market very long but they do come around. 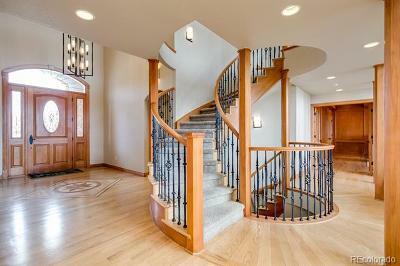 Buyers that see any real estate for under $500k are very fast to act on it. It usually has just a few days on the market. Buyers are still not just buying anything and everything. They are still smart enough to not be taken advantage of. Perhaps that is why we are seeing so many price reductions. Either sellers are testing the market or real estate agents are giving a false sense of market conditions. It really is not a benefit to either party to over price a home. A home still must appraise by the bank to be funded. 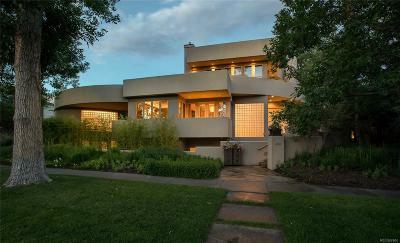 If a home is overpriced and does not appraise it can raise all kinds of issues. not only buyers remorse but the bank simply won’t fund the difference and if the buyer doesn’t want to pay the difference at the closing table they might just walk. In that case the home has been off the market for a while and the sellers now know the true value of their home. It is best to not get greedy because a contract is in the favor of the buyer and the buyer has many outs that they can walk and still not give up their earnest money.